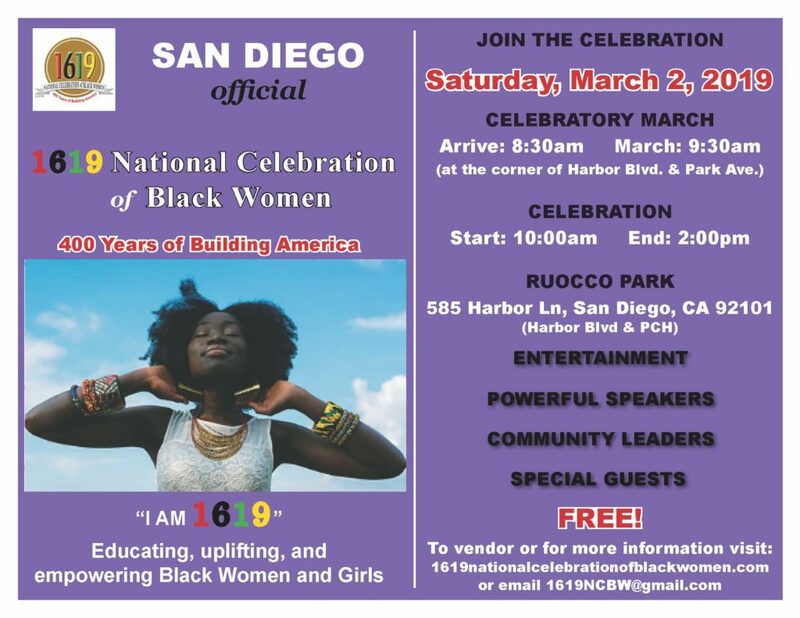 On March 2, 2019, The 1619 National Celebration of Black Women will spearhead a one-day, one-time event in San Diego, California commemorating the 400th year since the first African captives arrived in Jamestown, Virginia in 1619. The mission is to celebrate the contributions women of African descent have made in building the United States of America through adversity, oppression, and systematic hardships. 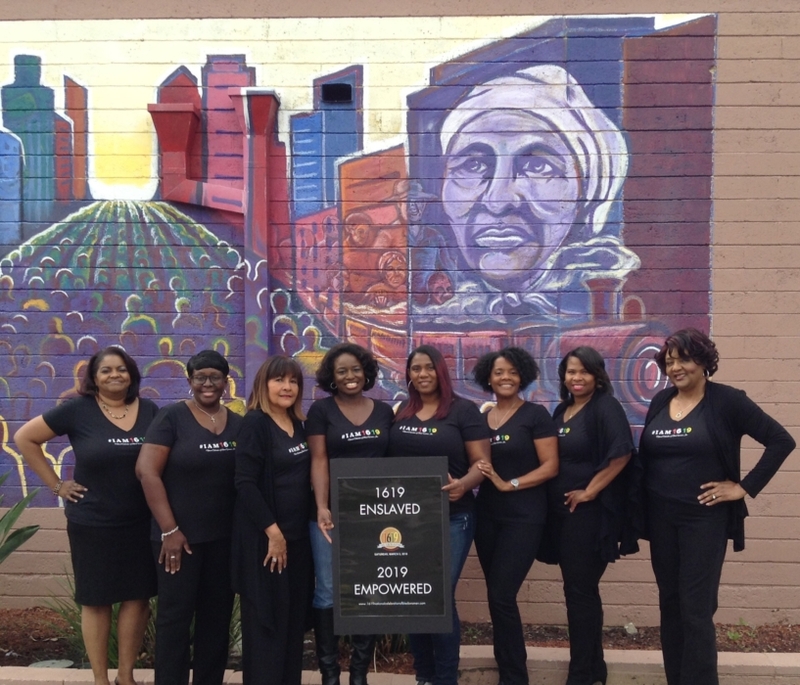 1619NCBW is dedicated to educating and uplifting Black women and girls about their ancestors while encouraging them to walk in their power. As the pioneering city, the national celebration does not start nor end in San Diego. The 1619NCBW recognizes that the daily actions and contributions by individuals, organizations, and institutions across the country are part of a larger movement. To encourage the national celebration, the goal is to rally people in different states and cities to join in and host their own celebrations, whether that is planning a luncheon, hosting an intimate discussion, facilitating a live stream conversation, or wearing “I AM 1619” paraphernalia. 1619 National Celebration of Black Women was founded by Sheryl Mallory-Johnson. 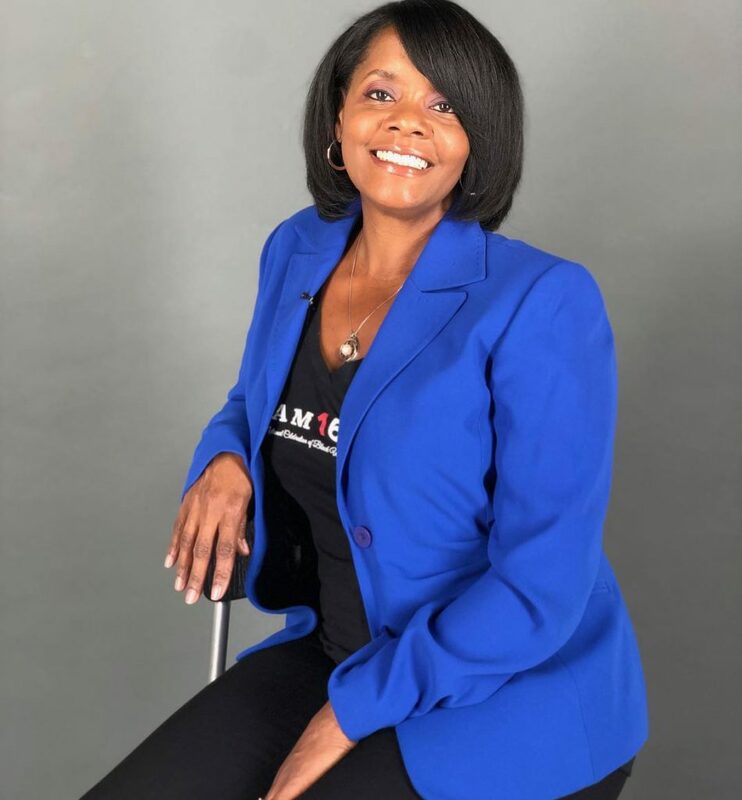 Her purpose-driven vision is honoring the legacy, resilience, and courage of women who are of paramount importance to the 400th year commemoration since the first Africans arrived at the shore of Jamestown, Virginia. Sheryl is an Adjunct Professor of Humanities, that teaches on the subjects of women’s issues, race, culture, religion, diversity, social change, to name a few. As an author, Sheryl writes humanistic stories about women. She has published three women’s fiction novels to date and is currently working on a sequel. For more information about the 1619 National Celebration of Black Women and the events that will take place on March 2, 2019, please contact Sheryl Mallory-Johnson at 1619NCBW@gmail.com.